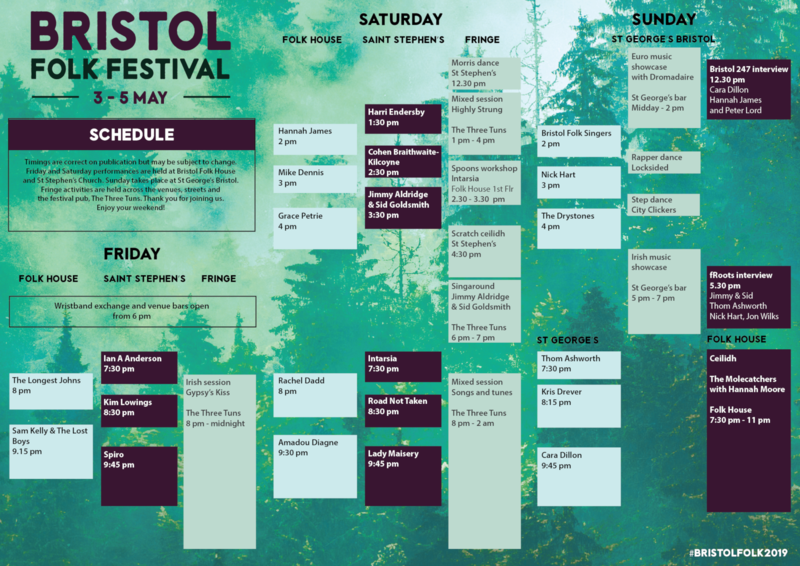 The Draft Schedule for Bristol Folk Festival shows anticipated start times of the main stages at Bristol Folk House, Saint Stephen’s Church and St George’s Bristol. Explore the exciting Fringe Programme of artist interviews, dance, and sessions in The Three Tuns. A foldout schedule will be provided on arrival at the festival. For venue addresses and details please see the About section. Tickets are available for the Whole Weekend or by the Day.